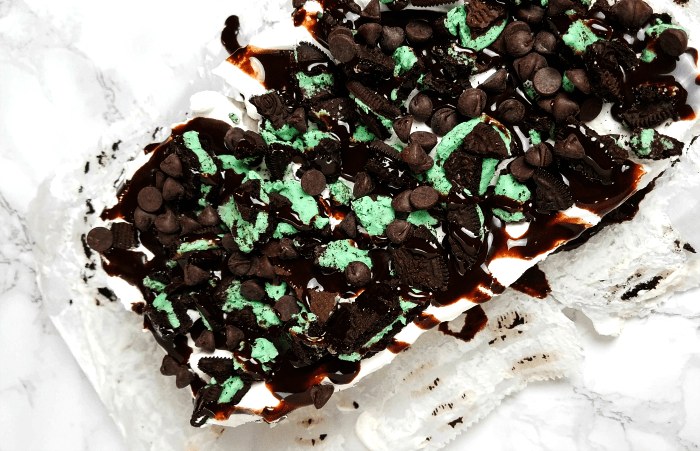 This no-bake Mint Oreo Icebox Cake Recipe comes together so easy with just 5 ingredients. This cake is perfect for baby showers, birthday parties and more! Comes together in minutes and your guests will think you spent hours putting it together. If you are looking for more Oreo Cookie Recipes, be sure to check out our Lego Batman Oreo Cookies and this Simple and Delicious Oreo Recipes: Amazing Oreo Desserts for any Occasion! YUMMY! 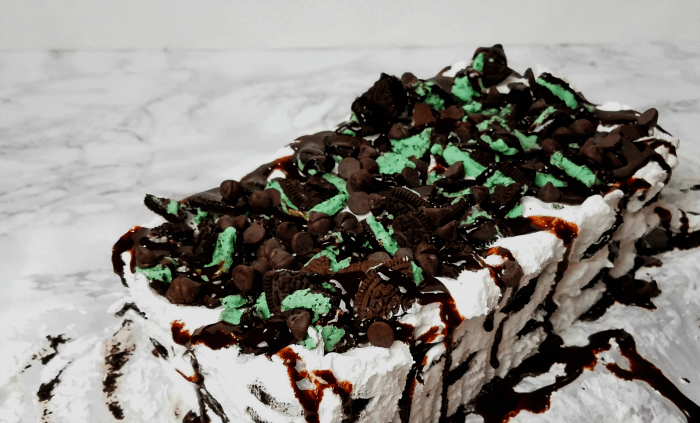 This Easy Mint Oreo Icebox Cake Recipe is a great treat for a birthday party or just because. Line the bread pan with parchment paper. If the paper won't stay put in pan, try spraying the pan with cooking oil, then lining with parchment paper. Layer the bottom of the bread pan with whipped cream. Dip the Oreos into the milk for a couple seconds, then layer the Oreos on top of the whipped cream. Repeat layering whipped cream and oreos until the pan is full. Make the last layer whipped cream. 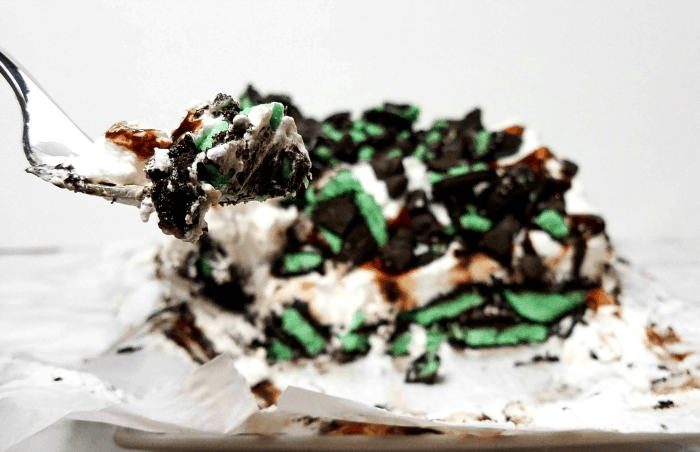 Crush up 2-3 Oreos and sprinkle them on top of the icebox cake. 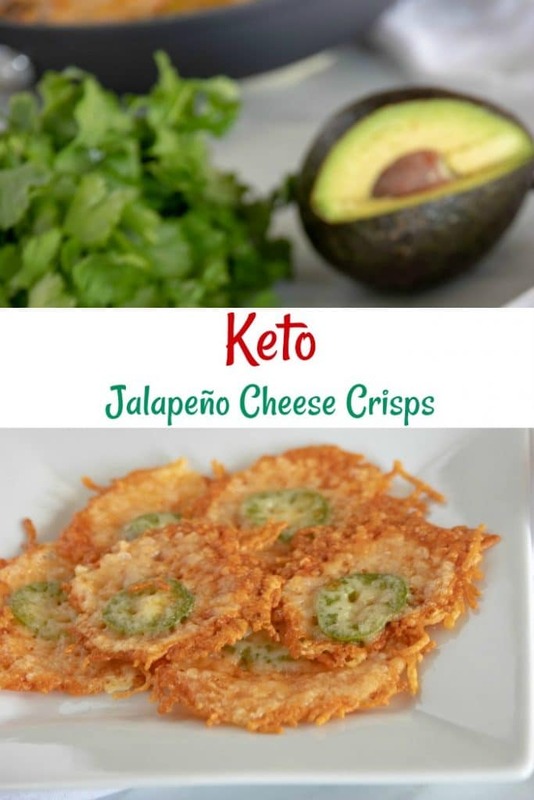 Cover with foil and refrigerate for at least 6 hours, preferably overnight. Remove the cake from the refrigerator. Using the parchment paper, lift the cake from the bread pan and place on the serving tray. Drizzle chocolate sauce over the cake, and sprinkle with dark chocolate chips.